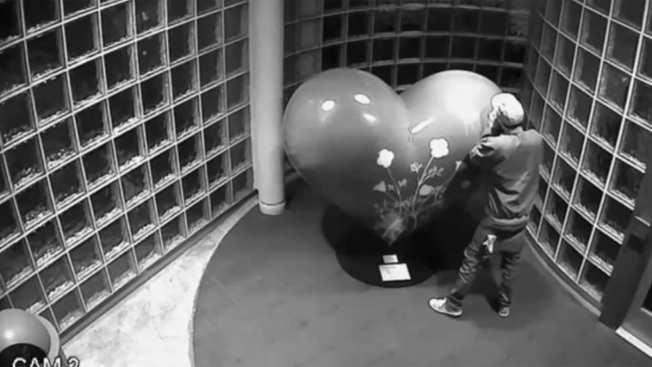 Police are trying to locate a man who vandalized a heart statue in front of the South San Francisco Conference Center. South San Francisco police said the vandalism happened in April. Authorities released surveillance video of the suspect, which shows a man engraving what appears to be initials into the statue. Anyone with information on the suspect and incident is asked to contact the South San Francisco Police Department at 650-877-8900.